This piece was written CBS News State Department reporter Charles Wolfson. The late Israeli foreign minister Abba Eban was credited for the oft-quoted phrase about the Palestinians "never missing an opportunity to miss an opportunity." Perhaps it is time for a corollary for the Israelis: they never seem to miss an opportunity to make it more difficult for Palestinian leaders to seize an opportunity. The most current example is Israel's decision to announce another 1,600 new housing units in the East Jerusalem neighborhood of Ramat Shlomo, a decision which came not only during a high profile visit to Jerusalem by Vice President Joe Biden but also just after the Obama administration's special envoy, former Sen. George Mitchell, announced Israelis and Palestinians had agreed to start so-called proximity talks. 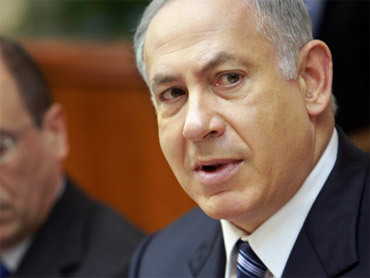 Prime Minister Benyamin Netanyahu claims he didn't know about the decision announced by his coalition partner, Eli Yishai, the interior minister. True or not, the fact that such an inflammatory decision could be announced by anyone in the Israeli government shows at the very least the lack of control Netanyahu is able to exercise over his coalition partners. Of course it also shows there are members of the Israeli government who could care less about the outcome of Israeli-Palestinian negotiations. As for the timing of the announcement, it was left to Welfare Minister Isaac Herzog to admit the obvious: "This should not have happened during a visit of the U.S. vice president … and now we have to express our apologies for this serious blunder." Because Netanyahu and his government consider all of Jerusalem to be Israel's eternal capital, the notion of even temporarily halting construction in East Jerusalem, which Palestinians envision as their capital of a future state called Palestine, is a non-starter. This is a long standing Israeli position, notwithstanding the agreement that Jerusalem is a final status issue to be negotiated between Israelis and Palestinians. Israelis make their decisions based on their view that whatever happens in Jerusalem - East or West - is of no concern to the Palestinians, or the Americans. Except for the fact it was the American vice president who was in country at the time, the idea of Israelis making housing-related announcements when senior U.S. officials come to town is nothing new. It happened often during the administrations of Presidents Clinton and George W. Bush. Where does this leave the Mitchell negotiations? In the first instance, no one should get too excited about a positive outcome. Everyone expects things to proceed at a very slow pace. Mitchell is expected to hold separate meetings in Jerusalem and Ramallah early next week. One Israeli diplomatic source said the talks will begin at lower, so-called expert levels, and there was no expectation of a meeting between Netanyahu and Palestinian President Mahmoud Abbas anytime soon. Rob Malley, a former National Security Council official who worked with President Clinton's peace team, said, "It magnifies the situation but doesn't really alter it." That is to say neither of the parties is very excited about these talks, which have come about after a year's worth of spadework by Mitchell and Secretary of State Hillary Rodham Clinton. "The Palestinians were extremely skeptical, and it has deepened their skepticism and the Israelis were not taking the talks seriously and events have shown that," Malley said in a telephone interview. "It intensifies the dynamics that were well in play beforehand." About the only good thing one can say a day after hitting this bump in the road to Middle East peace is that no one is calling for a postponement or further delay of the talks. So, with or without the additional 1,600 housing units, here we go, again.